We’d love your help. 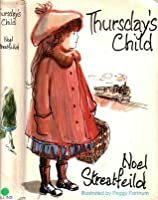 Let us know what’s wrong with this preview of Thursday's Child by Noel Streatfeild. Story of irrepressible Margaret Thursday, an orphan determined to go far, and the friends she makes along the way. To ask other readers questions about Thursday's Child, please sign up. Hello, I was interested in books about struggling UK orphans similar to Thursday's Child. Any suggestions? Streatfeild seems always to drift to her strengths - quasi-orphans, kindly adults, and kids on the stage - but she does it so absolutely beautifully. Having just finished Pratchett's I Shall Wear Midnight, I was struck to find "rough music" in this one too. This is a plucky-and-reasonably-high-class-orphans-run-away-from-cruel-institution story, which is pretty much its own subgenre. I think I read it as a child (the part where they hide out on the canal boat seems really familiar) but didn't find it as memorable as her more famous "Shoes" books, even though she does work in some theater. Long. Too much of the other family of children, not enough of Margaret, and nearly nothing of the other orphans... no effort to being concise and therefore not much well-explored. A fair bit of time was spent with other adults, but then they're all dropped, discarded. Abrupt ending, but despite that I have no interest in the sequel. I don't recall any other other wicked orphanage head being punished, even any other orphans being rescued after the hero makes good her escape, so that bit was satisf Long. Too much of the other family of children, not enough of Margaret, and nearly nothing of the other orphans... no effort to being concise and therefore not much well-explored. A fair bit of time was spent with other adults, but then they're all dropped, discarded. Abrupt ending, but despite that I have no interest in the sequel. I don't recall any other other wicked orphanage head being punished, even any other orphans being rescued after the hero makes good her escape, so that bit was satisfying & fun. It gives your memory a strange jolt to see books from when you were 8,9,10. St. Luke's Orphanage is just terrible, and so are all the people who work there, someone even purposely puts soap in Horry Beresford's eyes every morning. But it is the place that brings together Margaret and the Beresfords. Margaret is spunky and headstrong, rather proud because her mother left her on the church steps with two of everything, all of the finest quality. She is stubborn, but also caring and has a strong sense of justice. Peter Beresford is quieter, quite the reader. It is because of him I chose Bleak House to keep me company on the long drives to and from orchestra rehearsal last semester. He's sweet, but all wrapped up in his imagination, which, I believe, makes me identify with him. He even manages to read while cutting the grass. And doesn't he look like the Tiny Tim in Scrooge with Albert Finney on this cover? Horry is the little one, the one who lets their true conditions slip, a large part of the reason the escape is enacted. There is also Lavinia, Peter and Horry's older sister, who works as hard as she can to earn money to support her little brothers, but unfortunately, she is not fast enough. If you like orphan stories, if you like stories about the stage, if you like hard luck stories, or rags to riches, read Thursday's Child. It will not disappoint. There is also a sequel entitled Far to Go, which I have yet to get a hold of. The year Margaret turned ten the money stopped arriving and it was decided by the elderly spinsters who had looked after her with their faithful servant Hannah that she was to be sent to an orphanage. Although not as popular as Ballet Shoes, my daughter loved this book almost as much as I did so here’s hoping that someone else will find Margaret’s story just as enthralling. Having just read and been crashingly disappointed in two different "Shoes" books, I was more than ready for this classic rags-to-riches tale of the not-quite orphans and the foundling who leads them home. Jane Eyre meets Oliver Twist and The Little Princess in this wishfulfillment tale of the fiesty young foundling who knows (like the Fossils before her) that she will have to make her own way in the world, and is determined to make it big. The Countess' attitude to her servants is That's better. Having just read and been crashingly disappointed in two different "Shoes" books, I was more than ready for this classic rags-to-riches tale of the not-quite orphans and the foundling who leads them home. 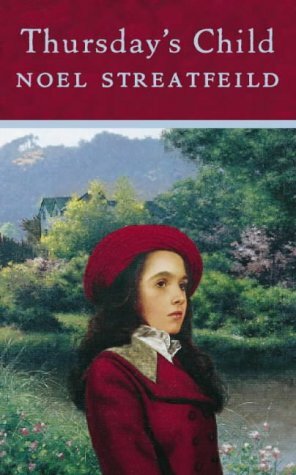 Jane Eyre meets Oliver Twist and The Little Princess in this wishfulfillment tale of the fiesty young foundling who knows (like the Fossils before her) that she will have to make her own way in the world, and is determined to make it big. The Countess' attitude to her servants is less than believable, but then that's not your normal scullery maid, is it? An interesting story about eleven-year-old Margaret who is sent to an orphanage and has adventures with friends she meets there. Has a happy ending that I enjoyed. Highly improbable, but good escapist fun. I enjoyed reading this many times as a child, but returned to it reluctantly as an adult, because I dimly remembered it as wall-to-wall child cruelty and hardship. Well, it’s not quite that bad, and it has a cracking plot, but it’s not one for the faint-hearted. A bit ridiculous but very Dickensian. Summary: Margaret was found on the church stepson a Thursday in a basket with three of the best of everything -- the kind rector gave her the last name Thursday and set out to make sure she had a good life with two older ladies with a big house. But when the ladies have gotten to old to take care of her, it is time for another place to live and when nothing is found she is sent to the orphanage. Little do they know how bad off the children at the orphanage are under the rule of a cruel matron th Summary: Margaret was found on the church stepson a Thursday in a basket with three of the best of everything -- the kind rector gave her the last name Thursday and set out to make sure she had a good life with two older ladies with a big house. But when the ladies have gotten to old to take care of her, it is time for another place to live and when nothing is found she is sent to the orphanage. Little do they know how bad off the children at the orphanage are under the rule of a cruel matron that keeps them hungry and afraid. On the day that Margaret leaves she makes friends with another set of orphans, Lavinia, and her two younger brothers, Peter and Horatio. So starts their adventure of survival and escape and adventure and finding unexpected kindness along the way. This is a cross between the stories of The Little Princess and Downton Abbey as the orphans find them selves in a cruel orphanage and are in the midst of the story get championed by Lady Corkberry much like the character of Countess of Grantham in Downton Abbey. I also adore the four children who handle their situations with calm determination and make the best of their lives as long as they stay together. Maybe a hard read for some because of the storyline being at the turn of the century England. Some of the words are unfamiliar and some of the dialogue is in country broken English. There is also 275 pages which might be challenging to some readers. It was a slow start for me, but once I got to the midpoint, I didn't want to put it down. I had heard the author's name for years but never read anything by her. I came across this title in a free box of discards at the local library. It took me a while to start it because it was an old hardback that looked very old-fashioned and the type font was very small and the there was 276 pages. The story itself is about an orphan named Margaret who cannot stay where she is and thinking it is in her best interest is sent to the orphanage. But the orphanage is not what it seems to be but is rat I had heard the author's name for years but never read anything by her. I came across this title in a free box of discards at the local library. It took me a while to start it because it was an old hardback that looked very old-fashioned and the type font was very small and the there was 276 pages. The story itself is about an orphan named Margaret who cannot stay where she is and thinking it is in her best interest is sent to the orphanage. But the orphanage is not what it seems to be but is rather harsh and cruel. Margaret does her best to survive because she know she is something more because she started out with the best of everything. Margaret's loving heart, unending spirit, and amazing storytelling abilities lead her through many adventures as she runs away on a riverboat and joins a theater company. Margaret has three great friends that are also orphans who they meet the first day ... the girl Lavinia gets assigned to a scullery maid at a house nearby...and Margaret agrees to watch over the two brothers Peter and Horatio. The friends help each other and finally in a desperate act runaway from the orphanage afraid that the police are after Peter for "stealing" a book he wanted to read. It's a good story. The parallel between the Beresford children and Little Lord Fauntleroy was pretty engaging. I feel like Streatfeild really missed a chance to tell us the most interesting story of all: the mystery behind Margaret's "three of everything of the best quality" and the fifty-two pounds every Christmas in the garden. I wonder if those questions get addressed in a sequel, though I'm not sure I was captured enough to go look. Being a Thursday child myself I loved this book when I read it as a girl. It started out really good but about halfway through went downhill. Skimmed to end. Meh. ‘Thursday’s Child’, set shortly after the start of the 20th century, is the story of ten-year-old Margaret, who was left on a vicarage doorstep as a baby. It was written in 1970 so is a historical rather than contemporary novel, and it paints a good picture of life in various contexts from the point of view of a child. This isn’t a typical Streatfeild book: there are no highly gifted children, at least not until Margaret discovers a talent towards the end. There’s a somewhat unlikely coincidence ‘Thursday’s Child’, set shortly after the start of the 20th century, is the story of ten-year-old Margaret, who was left on a vicarage doorstep as a baby. It was written in 1970 so is a historical rather than contemporary novel, and it paints a good picture of life in various contexts from the point of view of a child. This isn’t a typical Streatfeild book: there are no highly gifted children, at least not until Margaret discovers a talent towards the end. There’s a somewhat unlikely coincidence - although it seems happily believable while immersed in the book - and, being a children’s book, a satisfactory conclusion even though it happens rather quickly and leaves the story open. I knew I had to read the sequel ("Far to Go") soon afterwards! I first read this many years ago, but had forgotten the story entirely. Noel Streatfeild has a very readable style, and a gift of characterisation for the children in her novels, even if the adults are rather caricatured. Perhaps this wouldn’t be the best introduction to Noel Streatfeild’s books, yet it’s a good story that might appeal to boys as much as to girls. I doubt if anyone younger than about eight or nine would find it very interesting, but a good reader of that age or older might well enjoy it. it would be good as a read-aloud, too, for children of about eight or older who still enjoy a bedtime chapter. My favorite book when I was a child. This is the story of a girl (Margaret) who runs a way from an orphanage in England in the early 1900s because they beat her and punish her. She works as a scullery maid until she can get her friend/(brother?) out. Then she works on a boat pushing the boats through the locks with her feet--I guess this was how they brought boats up and down channels--before becoming discovered and working as an actress in Little Lord Faunteroy. I remember this book vividly alt My favorite book when I was a child. This is the story of a girl (Margaret) who runs a way from an orphanage in England in the early 1900s because they beat her and punish her. She works as a scullery maid until she can get her friend/(brother?) out. Then she works on a boat pushing the boats through the locks with her feet--I guess this was how they brought boats up and down channels--before becoming discovered and working as an actress in Little Lord Faunteroy. I remember this book vividly although I haven’t read it since 1990. Scary. My favourite, favourite when I was nine or ten. I managed to destroy a copy with excessive reading and had to be bought a hardback copy! ANd what is more, it stands rereading, strong characters, fast pace, multiple setting which appeal to the romantic notions of small girls - orphanage, canal boat, theatre. Vintage Stretfeild. Thursday's Child might be full of cliched characters and plot, but the impact it had on me was the value of the self: every person in the world is worth something, even if he or she is just an orphan. We should be proud of ourselves, especially when we have done something we thought we could never do. Try reading this book again using that point of view. My grandchildren are too young for this yet but when they're older I hope that they'll love it as much as I do. It's a wonderful lesson in determination, self belief and loyalty but without preaching or pushing it down the reader's throat. It's also a terrible indictment of orphanage life in late Victorian times - not all were like that I'm sure but it must have been fairly accurate.